I have never heard this expression before either in French or in English. 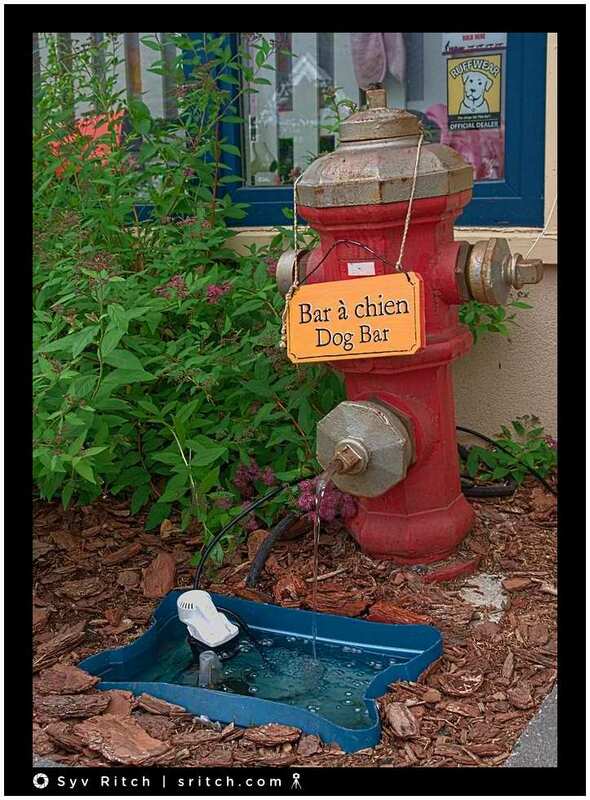 This is a running water tray for dogs in Mont-Tremblant, Quebec. This fire hydrant/water dish is at the front of a pet store that sells treats/biscuits and pets toys, mostly for dogs. The fire hydrant is leaning, a lot. The fire hydrant is not made of steel. It’s feel like it’s some link of plastic/pvc. It’s not anchored in the ground, it’s just some clips that are covered with the tree bark.